More from my trip to Cebu. 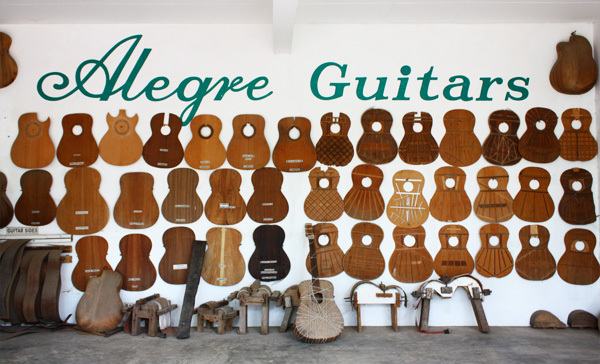 Alegre Guitars is a guitar factory in Lapu-Lapu City, Cebu. 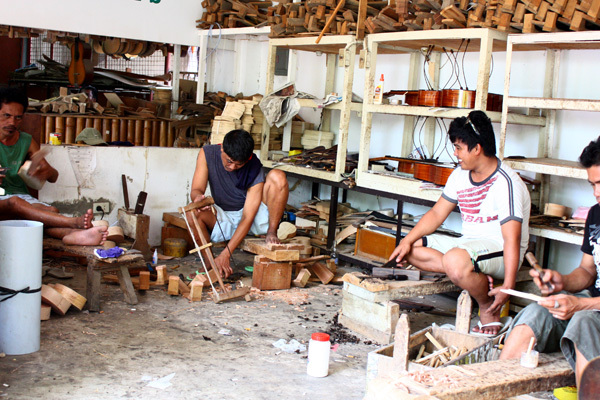 Tourists and shoppers alike can take a look at the workshop to witness the craftsmen in action. 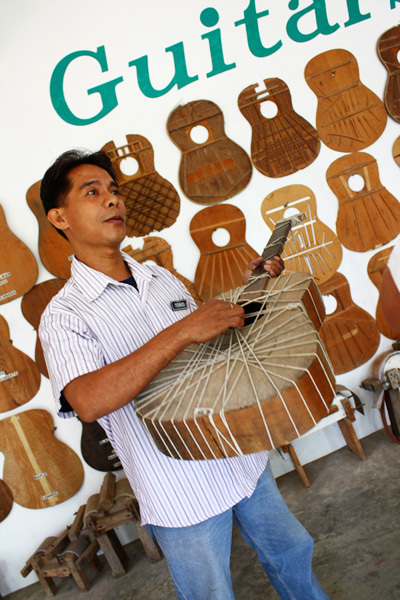 During our visit, a guide gave a short but comprehensive talk on the types of wood and string used to make guitars and other string instruments. He also told us about how the shapes of guitars make different sounds. 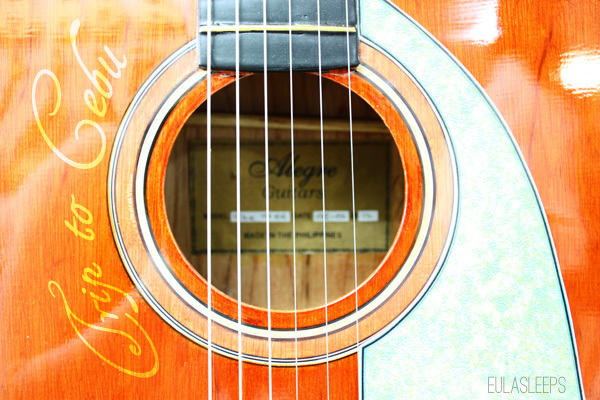 The photo above shows how the guitar pieces are held together with string until the glue settles. 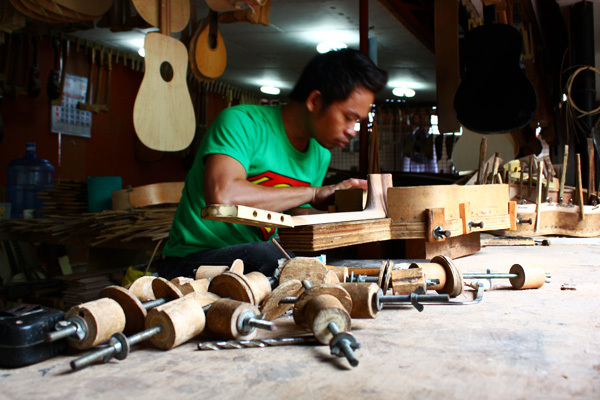 In the factory, the instruments are handcrafted. Besides guitars, they make banjos and ukeleles. Their instruments are of export quality. The craftsmen are used to visitors and are happy to answer questions. Look at this weird-looking guitar! 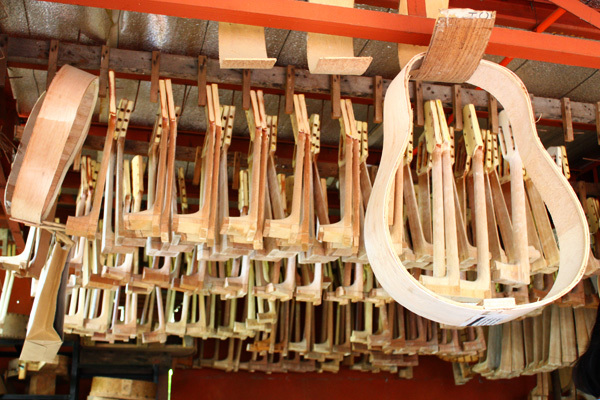 It's one of many in the factory showroom, which contains guitars of various shapes and sizes. A string quartet serenaded us while we browsed. 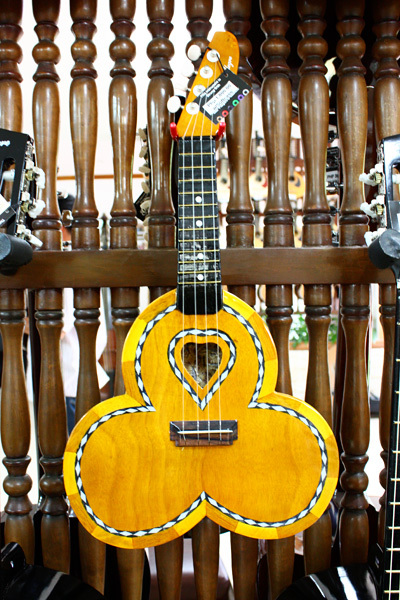 An Alegre guitar can cost mere hundreds to several thousands of pesos. 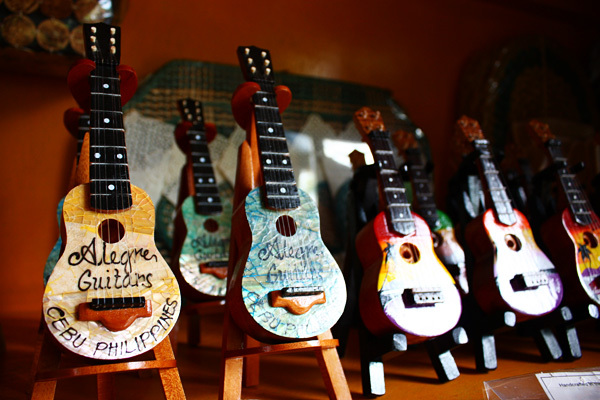 If you're not keen on playing one, you can take one of these souvenir guitars home. Their gift shop also sells keychains, and refrigerator magnets, and (my favorite) wooden bangles. The wall displays the inner surfaces of the fronts of guitars.